Patrick Carver is a co-founder of FlashIssue, the insanely fast and stress-free way to create an amazing email newsletter. He’s a serial entrepreneur with a passion for technology, soccer and music. Read more of his stuff at the FlashIssue Blog or follow him on Twitter @FlashIssue. Lots of content marketers struggle with producing a high-quality newsletter, and they often ask themselves some common questions: Am I doing this right? Should it be taking this long? What should I write about? For any good newsletter, the key is to quickly find and deliver useful content that your audience will love. The days of boring newsletters with regurgitated business information are over. Now, it’s all about engaging your audience in a meaningful way beyond traditional advertising. 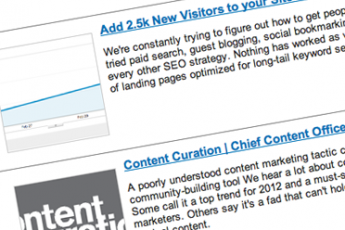 Newsletters provide a perfect opportunity for content marketers to get their message out.